Oh llama! 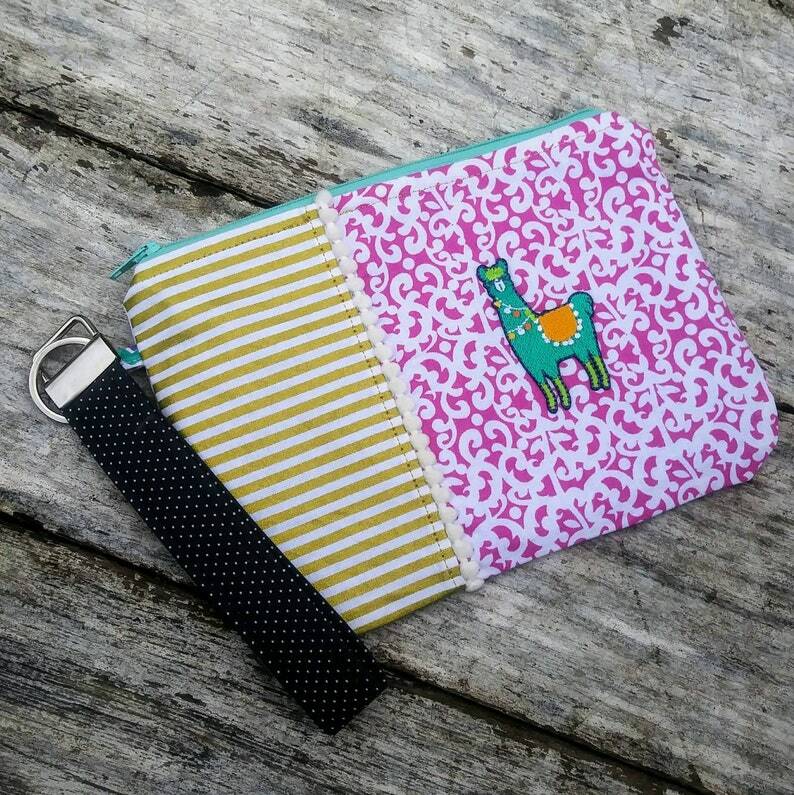 zippy pouch with key fob wristlet. Curved bottom zipper pouch measures approximately 6 inches by 8 inches. The pouch is made from for different cotton fabrics for a lively and colorful accessory! The key fob is made from the same fabric as the pouch is lined with. The pouch is lightly interfaced for stability. The llama is an appliqué patch that had been applied to the pouch body.